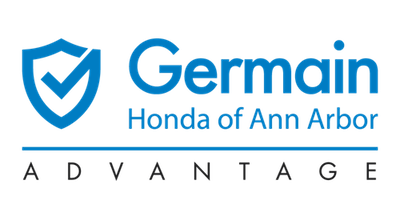 At Germain Honda of Ann Arbor, we’re making leasing a new Honda easier and more worry-free than ever. Our Turnkey Lease Program is designed to cover all of your scheduled maintenance to keep your Honda in tip top shape and provide a host of other benefits to make sure there are no costly surprises at any point during your lease. Whether you lease a vehicle with 36,000-mile coverage or 45,000-mile coverage, we have a Turnkey Lease Package for you starting at just $35 per month. Inspection of all fluid levels; engine coolant, manual transmission fluid, brake fluid, etc. Driving in Michigan weather makes an unexpected flat tire, damage from a pothole, and scuffs and scrapes on your wheels all too common. Our Tire and Wheel Protection covers costs associated with replacement of wheels and tires due to road hazards and wheel repair for most scrapes, scratches and other cosmetic damage. Has that door ding been on your car for months? Or did that hail storm leave dents on your car? Our paintless dent repair fixes dings, minor dents, and creases without affecting the vehicle’s factory paint job. Car keys are more advanced than ever with technology like Remote Engine Start and Smart Entry. Unfortunately, all of those features make them more expensive to replace if you lose a key or it stops functioning. Our Key Replacement takes care of the cost of a new key, fob, and programming. Turn in your lease Honda at Germain Honda of Ann Arbor and receive $250. Plus, if you lease a new Honda through our dealership you’ll receive an additional $250 cash incentive toward a new Honda. Our 45,000 Mile Turnkey Lease Program extends the standard 3-year/36,000 mile new vehicle limited warranty to 45,000 miles. 24-hour emergency road service is available to help you through those unfortunate times when you need service for a lockout, jump start, flat tire, or fuel delivery. This also includes 24-hour emergency towing. If your vehicle needs any covered repairs and you need alternate transportation, you’ll be reimbursed for rental-car expenses. If you’re out of town and you need your Honda repaired, your meals and lodging will be covered.